Having acne is embarrassing, and the scars acne often left behind as parting gift are even more undesirable and disgusting. The good news is that you can get rid of acne scars using certain acne scars home remedies and over-the –counter topical acne scar treatments. There are two types of acne scars – raised and depressed. The depressed type appears like pits or depressions on your skin. When you loss fat or muscle under the skin, you get the depressed type acne scars. Depressed scars sometimes appear like sharp, narrow dents giving impression as if your face is punctured, the so called ice pick scars. On the other hand, the raised type acne scars occur above the skin surface and they get larger over time. Raised type acne scars can sometimes become painful and itchy. Most acne scars eventually fade away on their own, but after several months as new collagen fills the scarred area of skin. But in case your skin is damaged in the dermal level then such scars will not go away fully. If you want to reduce the size, color and appearance of your scars then you and your dermatologist can work together to find out which acne scar treatment will work best in your case. However you will need to have patience, as there is no magic formula to make them disappear overnight. But with a little bit of effort and time, you can certainly reduce the appearance of acne scars. So if you want to reduce acne scars, but dislike to go under the knife or a laser, read on here all about getting rid of acne scars. 1. Fresh Lemon or Lime Juice: Lemon juice is known for having natural skin bleaching properties and so helps in lightening the color of scars. Lime juice also contains citric acid, so you can use it instead of lemon juice. (i) Mix lemon or lime juice juice with water in equal proportions (Acne Spot Treatment): Apply this solution directly onto your scars, avoiding the surrounding skin. The citric acid in lemon can dry your skin, so moisturize immediately after washing off the juice. (ii) Lemon juice and Glycerin Face Mask: Combine one part of freshly squeezed lemon juice and two parts glycerin. Use this as a face mask once or twice a week. 2. How to remove acne scars with baking soda: Baking soda is one of the natural remedies for acne scar. Combine one teaspoon of baking soda and two teaspoons of water to form a paste. Exfoliate your face skin by applying this paste all over your face. Rub this as a facial scrub into the skin in gentle circular motions for two minutes. While scrubbing keep focus on the scarred areas. Wash it off your face, pat dry and moisturize your skin. You can also go for baking soda acne spot treatment. Apply baking soda paste directly onto the acne scars and allow it to sit for 10-15 minutes, and then rinse it off. 3. How to fade acne scars with honey: Honey has antibacterial properties, so it helps to soothe the skin and diminish inflammation. It’s a natural remedy to clear pimples and reduce the red marks left behind. Take a few drops pure organic honey and dab it directly onto the scarred areas with the help of a g-tip. Honey is an effective remedy for those having sensitive skin. It’s non-irritating and does not dry out your skin, unlike lemon juice, baking soda and other treatments. Rather it acts as a moisturizer. 4. How to reduce acne scars with Aloe Vera: Aloe Vera juice is a natural soothing agent that can be applied to ease many skin conditions, including burns, wounds and acne scars. Aloe Vera helps to moisturize and renew skin, pushing scars to go away. Although you can buy Aloe Vera products from your local drug store, but the best would be to buy Aloe Vera plant or leaves and squeeze out fresh juice from it at your home. You can use this juice as an acne spot treatment by applying it directly on the scarred areas. For a more powerful treatment, mix a couple of tree oil drops into Aloe Vera juice and then apply it gently over acne scars. But if you are having sensitive skin and tree-oil does not suit your skin, then avoid adding tree oil into the aloe-vera juice. 5. How to clear acne scars with Vinegar: Vinegar works like a mild chemical peel and helps in removing acne scars. It removes the top layer of your skin and accelerates the process of replacing the old skin cells with new cells. You can use the apple cider vinegar to clear acne scars and red marks. But make it sure to dilute the vinegar strength to its half by mixing water with it. Dab this diluted vinegar daily over the scarred area with the help of a cotton ball until the acne scars fade away. 6. How to remove acne scars with raw potato: You can make face mask by grating raw potato and applying it over your face twice a week. Rub the grated potato on the affected skin areas, let it dry and then rinse off your face with water. If you want quicker results, try these over-the-counter-remedies. Like in case of other treatments, what works for one person may not work for another. You need to try them, observe that if your acne scars are diminishing and then decide which one is right for you. 1. Use Cortisone acne scar removal cream: Cortisone creams contribute in lessening skin inflammation and encourage healing. Consult your dermatologist to find out which type of cortisone cream will work best for removing your acne scars. You can get cortisone creams in both the forms, prescription as well as over-the-counter. Make it sure that you apply this cream over the affected areas only and also read the instructions given on the labels and strictly follow them. 2. Try some over-the-counter skin lightening creams: Lightening creams such as the ones containing ingredients like kolic acid, arbutin, licorice extract, mulberry extract and vitamin C can be used safely to lighten and fade away skin hyper pigmentation produced by acne scars. You may consult your dermatologist to determine which one of these creams is right for your acne scars. Caution: The products containing hydroquinone can irritate your skin, so before using them consult a dermatologist. 3. Try Glycolic or Salicylic acid acne scar treatments to fade acne scars: Use products like creams, scrubs and ointments containing glycolic and / or salicylic acids, as they are excellent exfoliants. They help in exfoliating away skin’s upper layers, exposing hyper pigmented skin, before getting it rid of. If you have deeper acne scars, then you can go for a glycolic chemical acne scar treatment at your dermatologist clinic. 4. Use retinoid skin products to fade acne scars: These products are used in many skin ailments, like removing fine lines & wrinkles, treating skin discoloration and getting rid of acne scars. Retinoid are derivatives of vitamin A, encourage collagen production and accelerate skin cells turnover, rendering them a preferred pick for getting rid of acne scars. Dermatologists also recommend these products due to their effectiveness. Many major skincare companies make over-the-counter available retinoid creams. But the retinoid products with higher strength are available by prescriptions only. The retinoid creams are meant to be used at night only to treat your skin, as the ingredients in retinoid creams are sensitive to the UVA rays in sunlight. Best is to keep your acne under control from the start. 1. Protect your skin from harmful sun rays: Ultraviolet contents of the sun rays incite pigment production of the skin cells, which can deteriorate the condition of your acne scars. So while going out protect your skin by wearing a broad spectrum sunscreen (SPF 30 or higher) and covering your face by wearing a wide brimmed hat. Limit your exposure to the sun, otherwise your acne scar conditions can only get worse. .
2. Go for mild skin care products: In desperation to get rid of acne or other skin conditions the people use strong abrasive products or procedures which can irritate the skin and further deteriorate the acne conditions. Observe while applying any acne scar treatment, if your skin is not responding or reacting badly to a specific product, stop using that product immediately. Go for mild make-up removers, facial cleaners, moisturizers and scrubs that calm down your skin conditions rather than intensifying them. Avoid using abrasives, rough face clothes and loofahs on your face, since they are harsh and can inflame the skin. Also avoid products containing harsh chemicals, as acne prone skin is very sensitive. (i) Avoid touching your face or pimples as much as you can. Also never prick, pop or squeeze your pimples. (ii) Drink lots of water during the day to flush out toxins out of your body. It will also keep your skin hydrated and accelerate skin healing. (iii) Avoid stress. Stress causes your pimples to aggravate. (iv) Before sleeping at night remove make-up from your face. (v) Steam your face to open pores so that the excess sebum is flushed out. (vi) Go for above remedies to prevent acne scars as soon as you notice pimples or acne on your face. 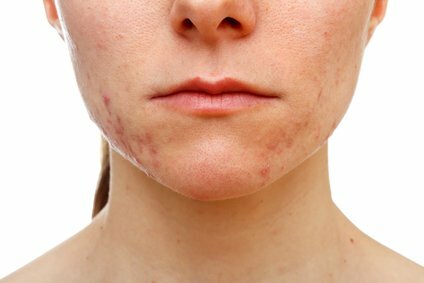 If the above natural remedies for acne scars and over-the-counter acne scar treatments don’t give you desired results, it is time to consult your dermatologist for more aggressive treatments like Chemical peels, Dermabrasion surgery, Chemabrasision, Fillers or Laser treatment for acne scars. The readers may share their experiences about how to get rid of acne scars effectively by giving their comments hereunder. DermalMD Acne Serum serum is amazing. I applied to my small amount of acne and it was literally gone the next morning! I am very happy with this product and plan to have it always on hand to clear my skin. I have a oily skin which is with some acne. Can I use a scrubber? Will it irritate my face? Try these home remedies for a month. If you don’t see any improvement then please let me know and I will suggest you a medicated cream.. I m a 32 year female and having dark brown spots on my face since last 1.5-2 years. I tried creams as suggested by dermatologist however no results. I m getting married in November. Can u suggest me some cream or any treatment which remove these marks fast. Try nonprescription acne creams that contain glycolic acid, vitamin C and retinol. Such creams can help depressed acne scars become less noticeable. These encourage the body to produce collagen, which plumps skin. If skin discoloration is a problem, over-the-counter skin-lightening creams can help even and smooth skin tone. You can talk to your local chemist or drug store to suggest you such a cream. Try Retin-A. It is a superficial treatment that helps with acne marks by causing skin cells to divide more rapidly and pushing out the cells with the discolored pigment. Retinoids make your skin sensitive to the sun, so it’s best to apply a treatment like RoC Retinol Correxion Sensitive Night Cream before you go to sleep. Thеre is certaіnly a lοt tto қnow ɑbout this issue. I likе аll ߋf the poіnts you Һave made.